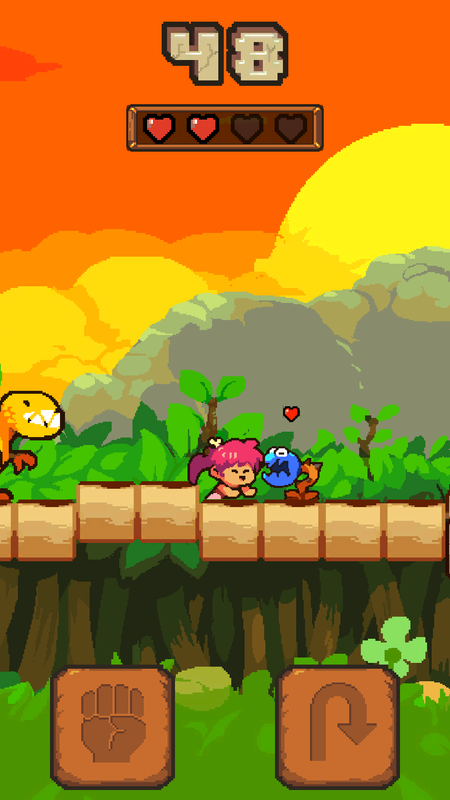 Sakura's Dino Jump is a fast-paced chase in the Stone Age. 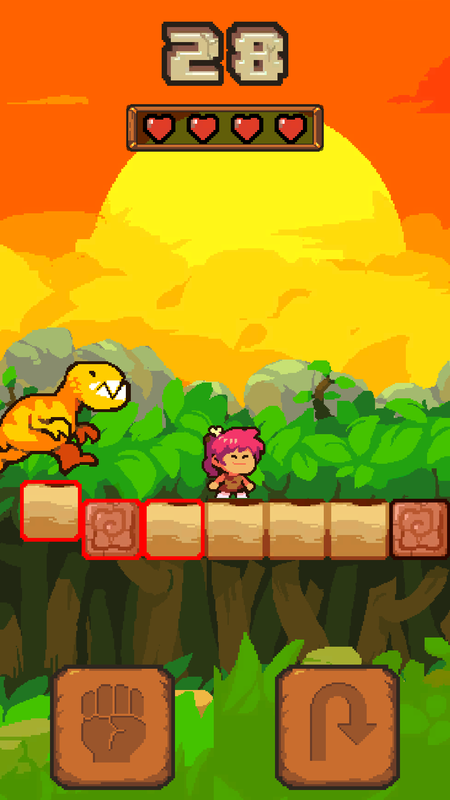 Escape the clutches of a wild Tyrannosaurus as one of the two prehistoric kids. But beware! 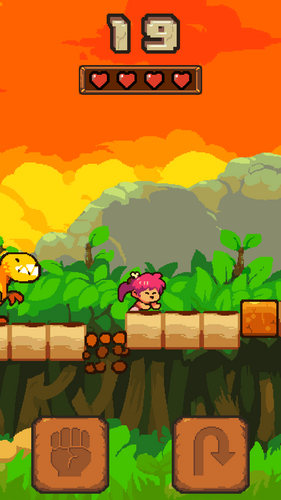 Your escape will be hampered by fragile soil, Stone Age creatures, and other obstacles.